On September 30, 2017, the team behind the Buck lawsuit posted their appellate brief regarding the California SB277 lawsuit appeal on Facebook. The initial lawsuit was very badly reasoned, and the brief is no better. It does not meet its primary goal of convincing the appellate judges that the trial court judge was wrong to dismiss the case, since it does not counter the arguments at the basis of the dismissal, and especially does not give a reason to overturn a hundred years of jurisprudence upholding school immunization requirements. It makes many inaccurate legal and factual claims; it also uses extreme language and bad formatting. This post will not cover all the problems in the 47 page document. I will try, however, to highlight the main issues. 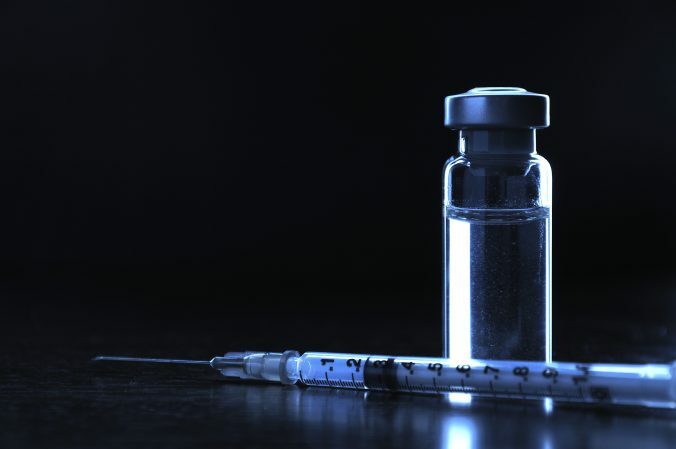 To remind readers, Buck v. California is one of the first lawsuits filed to block implementation of SB277, which eliminates vaccination personal belief exemptions for students. The lawsuit was brought by eight plaintiffs represented by attorney T. Matthew Philips. The group is openly and extremely anti-vaccine. Their earlier lawsuit involved bad arguments, was badly written, and ended when a superior court judge sustained the state’s demurrer – in lay terms, the judge dismissed the plaintiffs’ complaint because it was legally and factually inadequate. Moreover, the trial judge dismissed without leave to amend because the inadequacies in the complaint could not be fixed. The main arguments in the state’s demurrer were that plaintiffs ignored the extensive jurisprudence supporting immunization requirements, which goes back 100 years, they did not properly make a religious freedom claim, their claims that SB277 violates the right to education or equal protection were legally unfounded, and their claim that the medical exemption is too vague was mistaken. The plaintiffs appealed to the California Court of Appeal of the Second Appellate District, and after lengthy procedural delays filed an appellate brief with the court on October 11, 2017 (substantially later than the Facebook post). The brief is problematic both in what it does not do and in what it does do. This post will shortly address why the brief did not, in fact, make a case for overturning the trial’s court decision. The standard of appellate review in this instance is called de novo. The appellate court will reexamine the contentions made in the parties’ briefs and decide independently whether the legal standards for sustaining a demurrer (dismissing the lawsuit) were met. The question of whether the lower court should have given the plaintiffs leave to amend their complaint is subject to a more deferential standard – that decision will only be overturned if the lower court abused its discretion (id). Usually, issues not raised at the trial level will not be examined by the court of appeal for the first time, though that court can make an exception if there are good reasons for doing so. (Wood v. Milyard, 566 U.S. 463, 473, 132 S. Ct. 1826, 1834, 182 L. Ed. 2d 733 (2012)). The plaintiffs’ appellate brief raises several issues not raised at the trial stage, and the appellate court would be well justified in not addressing those additional issues. However, I will touch on them, since I cannot be sure what the court will do. The first problem with the appellate brief is that it simply does not respond to the major issues raised in the demurer. The task of the lawyer on appeal is to convince the appellate court that he did, in fact, state a valid cause of action in the complaint he filed on behalf of his clients. The demurrer, which the trial court sustained, suggested grounds why he did not. The appellate brief, for the most part, did not counter those reasons. The first basis for sustaining the demurer was that for over 100 years courts – state and federal – have upheld state immunization requirements. But the appellate brief does not directly grapple with that. It does suggest a narrow interpretation of the seminal case of Jacobson v. Massachusetts, 197 U.S. 11 (1905): it suggests that Jacobson only allowed use of police power to protect health during a public health emergency. While it’s true that the ordinance addressed in Jacobson was passed in the context of an outbreak, and that the case does contain language emphasizing the necessity in this case, and suggesting that there might be circumstances in which the use of police force would be extreme, most of the case uses much broader language, and clearly is not limited only to immediate emergencies. More important, even if that interpretation of Jacobson was initially plausible, the jurisprudence since created a much broader principle. In Zucht v. King 260 U.S. 174 (1922), the U.S. Supreme Court upheld an ordinance imposing a school immunization requirement not during an outbreak – making it clear police powers are not limited to a public emergency. California’s Supreme Court upheld school immunization requirements in spite of the constitutional right to education in the 19th century, in Abeel v. Clark, 84 Cal. 226 (1890). The brief does not suggest any reason to ignore or overturn that jurisprudence; it simply does not mention or address it. This puts the appellate court in a position of having an extensive jurisprudence against the claims in the complaint, and no good basis in the complaint or appellate brief for rejecting it. The brief attempts to claim it’s a case of first impression – a new case, without governing jurisprudence because it’s making a new argument about mandates and unavoidably unsafe products – that, as I will discuss, is based on a misunderstanding of product liability law – but the issue is not one of first impression: school immunization mandates were extensively adjudicated. Suggesting new grounds to change existing jurisprudence does not make that jurisprudence vanish and does not make a previously decided issue one of first impression. The brief also does not cure the two problems with religious exemptions mentioned in the demurrer. It does not make a strong claim that the parents have religious opposition to vaccines. It does not even attempt to show it made the claim in the complaint or the trial record. It simply ignores the issue. Nor does it address the jurisprudence according to which neutral laws do not have to provide a religious exemption. Again, it does not even attempt to address this issue. It does not answer the criticism of the claim of right to education that was made at the trial level – that preventing outbreaks protects the right to education, and that protecting public health is a compelling public interest. It repeats the same arguments it made that the law violates the right to education, and that it’s more important to educate children than to vaccinate them – but it does not provide an answer to the state’s explanation why that’s not a good argument. It does not point to anything in the complaint that counters that. And it still does not provide any authority for the claim that vaccination status should be a protected category, or even a good argument for it. Here, too, it does not address the arguments in the demurrer. Basically, the appellate brief ignores its primary mission: to convince the court of appeal that the demurrer was wrongly sustained by the trial judge. It does not even try to accomplish that key task. The appellate brief’s opening argument is that because all vaccines are legally and factually unavoidably unsafe, the state cannot require vaccines as a precondition to school. This claim is based on a set of misunderstandings of product liability law and relevant jurisprudence, as well as on incorrect factual assertions. In terms of the law, a major confusion in the complaint is that it claims that unavoidably unsafe products are necessarily defective products – which is completely wrong. This needs some context. In 1964, the Restatement (Second) of Torts (a very influential legal source) reflected new developments in state courts by saying that manufacturers will be strictly liable for defective products. This was adopted by all states, and became the basis for our modern product liability law. When the appellate brief equates an unavoidably unsafe product, such as a vaccine, with a defective design, the appellate brief is simply wrong. In fact, falling into the category of unavoidably unsafe products would mean that the product is not defective by design (and as a corollary, is not unreasonably dangerous, because its risks are far outweighed by its benefits). Nor is there any other basis to see all vaccines as defective in design. The appellate brief tries to make a distinction between pharmaceutical drugs which, it says, “come with a possible risk of adverse side-effects while vaccines come with a presumed risk of adverse side-effects.” It’s not clear what, exactly, the brief was trying to say here. Both vaccines and drugs have risks, and either can cause, occasionally, side effects. If the brief is trying to claim that vaccines cause more side effects than drugs, that is a broad and unjustified generalization: drugs vary, and realistically, most vaccines likely have fewer side effects than many or most drugs. This is even more true for serious harms: serious harms from vaccines are extremely rare . The low rate of compensation in the National Vaccine Injury Compensation Program – less than one per million – further reinforces what science shows on this: serious harms from vaccines are very rare. With 100% certainty, SB277’s vaccine mandate has already killed California school children. It provides no actual details of deaths, no specific allegations to support that claim. While at the demurrer stage material facts in the complaint are supposed to be presumed true, there really are not a lot of facts in this sentence. There’s an expression of belief, with no facts or support behind it. There is no evidence, or even claims, of deaths related to SB277 – even anti-vaccine groups have not pointed to one. It’s not clear where this belief comes from. Finally, the appellate brief misrepresents the Supreme Court decision in Bruesewitz vs. Wyeth, LLC, 562 U.S. 223 (2011), that it draws on. The case did not state that design defects are unavoidable, or suggest all vaccines are defective in design. And it clearly rejected the application of the unavoidably unsafe category to vaccines. The brief also makes glaring legal errors in its discussion of equal protection. The brief states that “Plaintiffs identify eight (8) separate and distinct bases of disparate treatment; in all instances, the disparate treatment is based on “medical status,” a suspect class requiring heightened scrutiny.” Most of these categories were not in the initial brief and are new claims. Since the categories include such things as home v. school based students, or different grades, they are clearly not all based on medical status, however the term is defined. But the problem runs deeper. Under the Fourteenth amendment, a state may not deny people “equal protection of the laws”. But that does not mean laws cannot treat people differently. All or most laws make distinctions, and for the most part, that’s fine. Laws treat jaywalkers different than non jay walkers, give licenses to people who meet criteria and not others, and regulate homeschoolers differently than students in school. The appellate brief’s treatment of equal protection ignores two fundamental principles of equal protection analysis. The first is that equal protection means treating those similarly situated alike; it’s fine, and often appropriate, to treat those who are not in similar circumstances differently. The second is that even when there are arguable similarities, not all classifications are held to the same standard. Most legal distinctions are held to a rational basis standard, under which the state just has to show the distinction is reasonably related to a legitimate interest. The brief tries to argue the state should apply strict scrutiny, a much higher standard applied to cases where a classification is based on a protected category (such as race) – but fails to show one. Let’s go over the plaintiffs’ claims one by one (I am collapsing the discussion of the two categories of distinctions based on grades into one). Vaccinated v. Unvaccinated students – as pointed in the decision denying a preliminary injunction in the better-reasoned Whitlow lawsuit, unvaccinated children are not similarly situated in comparison to their protected peers: they are at higher risk of preventable diseases, and when they congregate, they increase the risk of outbreaks. It’s not illegal discrimination to treat different cases differently. Homeschool v. classroom students – again, these children are not similarly situated. The risk of disease transmission is higher in the close school environment than in casual contacts, and homeschooled children do not pose the same level of risk to others. Children at checkpoint grades v. children at other grades – again, these children are not similarly situated. The complaint emphasizes that there is a differential treatment here, and suggests there is no basis for that – but the goal of checkpoints was to allow for gradual implementation of the law, to reduce the administrative burden on schools and allow transition to as many families as possible. The distinction is temporary, and rationally based on the legitimate interest in gradual implementation of a new requirement. There’s nothing unusual about allowing for gradual implementation of a new regime. (The Affordable Care Act is a major recent example.) In a few years, all children will have gone through one of the checkpoints. Children not at a checkpoint whose parents filed an exemption before January 2016 – again, there is a rational basis, when you implement a law gradually, to treat children with exemptions on file differently from those who are not. The difference here is based in action, just as the law treats differently those who file tax returns on time and those who do not. Medically exempt students v. others – again, these students are not similarly situated. Children with medical reasons not to vaccinate are not like children without such reasons. This is not illegal discrimination, because it’s not treating like cases differently. Children infected with hepatitis B v. children not vaccinated against it – children with a medical condition, like disabled children, are not similarly situated to children who do not have a medical condition, but whose parents chose not to vaccinate. The parents of children with hepatitis B do not have a choice, nor do the children. The parents of the unvaccinated children are choosing not to protect their children from disease. In contrast, parents choosing not to vaccinate their children is not a disability (though it can lead to one if the child gets a preventable disease), not a medical condition, and not genetic. The brief suggests that “vaccination status” should be a protected category – but does not give a single argument or a single relevant case in support of that suggestion. On p. 36 it refers to Brown v. Board of Education, 347 U.S. 483 (1954), and claims that segregation based on vaccination status is as bad as race based discrimination – but Brown is not a case of point – it does not address vaccination status. The brief does not explain which similarities it sees between race based discrimination and distinction based on vaccination status, and the statement is pretty jarring. There is an obvious difference between an immutable characteristic like race and the choice not to vaccinate a child. The brief does not make a valid equal protection claim, and suggests misunderstandings. Even if strict scrutiny was the standard, the brief does not make a good case that it was violated. The brief doesn’t address the state’s compelling interest here – which is protecting all children from disease, as stated in the state’s argument in support of its demurrer. Further, the brief’s argument against narrowly tailored is mistaken because of a misunderstanding of the reason for SB277, discussed below. The appellate brief seems to radically misunderstand the context for SB277 and its purpose. It describes the measles outbreak – an outbreak that spread to seventeen states and two countries, and that included over 125 cases – as “a few dozen tourists reportedly contracted measles in Disneyland in Anaheim. This event lasted just a few weeks and fizzled-out all by itself.” (p. 8) This is a gross mischaracterization of the outbreak, in which most cases were in California residents, and most of the cases were unvaccinated. More than that, the brief misunderstands the role the measles outbreak played in enacting SB277. It suggests the only reason for the bill is to handle the measles outbreak. That is obviously not the case. By the time the bill was signed into law in summer 2015, the outbreak was long over. The measles outbreak served as a warning call – to warn California residents that non-vaccination has reached a danger point, where herd immunity is at risk. A study of the outbreak showed it was mostly concentrated in counties with low immunization rates. The legislature reacted to this danger by passing SB277 – with the goal to protect California children from disease not during the outbreak, not just from measles, but more generally. In light of that, the brief’s claim that SB277 should be limited to measles is incorrect. Nor would restricting the measure to Anaheim, as the brief suggests as a less restrictive alternative, solve the problem of low rates in several districts in California. Nor would quarantining children during the outbreak prevent future outbreaks. The brief also suggests quarantining immune compromised children, which would also not prevent outbreak, and would mean punishing children who do not have a choice in deference to the voluntary choices of the plaintiffs. The final option – “allowing free-thinking citizens to decide for themselves whether it’s safe to visit Disneyland” – would not even help with the measles outbreak, since visitors could transmit the virus to others not in Disneyland, and would certainly do nothing for future outbreaks, which could occur anywhere in the state. I think it that it is fair to say that the public often doesn’t understand how vaccines work. However, the scientists and researchers who created vaccines do understand how they work. The Slippery Slope: It starts with mandatory vaccination of schoolchildren, then mandatory vaccination for school employees, then mandatory vaccination for government employees, then mandatory vaccination for all adults … and then mandatory blood and organ donations … then mandatory genetic modification purportedly to prevent illness … then mandatory sterilization of the poor and disabled … then mandatory euthanasia for the ill and elderly. It’s a slippery slope; SB277 demonstrates how holocausts get started. This is problematic on several levels. First, it’s extreme. Describing SB277 as “how holocausts get started” is inappropriate. There is a glaring difference between requiring immunization for school and race or disability-based discrimination, violence or mass-murder. Second, it doesn’t make sense. School immunization requirements aim to make children safe from disease; they do not lead by any logical progression to euthanasia or sterilization. Slippery slope implies a constant slope on which law moves naturally from a higher to a lower height. That’s not the situation here. Here we have completely separate hills that the plaintiffs suggest the law will jump between as goats would. I do not think any court has ever struck down a law because of a jumping goat concern. In short, the appellate brief for this California SB277 lawsuit appeal does a pretty bad job at arguing that the plaintiffs have a valid claim under law. There does not seem to be a very good reason for an appellate court to overturn the demurrer based on anything in this brief. Several people have asked me whether having school mandates is in tension with the idea of vaccine informed consent . The answer is no. While school mandates have some effect on parental autonomy, the doctrine of informed consent should not be conflated with autonomy. To remind readers, in November 2016 a fourth lawsuit attacking California’s SB277, the law that removed the personal belief exemption from school immunization requirements, was filed in a district court in California. On January 13, 2017, after a hearing, the state’s motion to dismiss the lawsuit was granted. This is another SB277 lawsuit ruling that has supported the state of California. The decision gave leave to amend, because the standard for doing so is very lax – as the decision explains, “[l]eave to amend should be granted unless the district court ‘determines that the pleading could not possibly be cured by the allegation of other facts.’” But the court left very little room for a successful amendment. It’s unknown yet whether plaintiffs would appeal. Basically, the court followed the extensive jurisprudence in United States courts supporting school immunization laws, based on their role in protecting the public health. Today I attended the hearing for a preliminary injunction in the Whitlow suit, one of the lawsuits against California’s SB277 vaccine law. I arrived early to try and get an impression of the judge, and because I was worried that there would be no room in the court (in the end, everyone who wanted got in). I sat in the court from 11am, and after the courtroom was cleared for lunch break stood in line until it was opened, around 1:15. Below are my impressions. Since Judge Sabraw ordered that all electronic devices be off during the hearing, and I did not bring a legal pad, I could not take notes, so this is based on my recollections – and I apologize to the lawyers on either side if I misremembered their points. I’ll be happy to be corrected on any details. In this hearing, the question was whether plaintiffs should get a preliminary injunction, an order putting the SB277 vaccine law on hold until the case is decided. whether an injunction is in the public interest. In the hearing, most of the focus was on the legal merits, though there was some discussion about the potential harm to the plaintiffs. There have been several updates to the lawsuit, and subsequently to this article. This article has been republished with the updates. Comments for this article have been closed, but you can comment at the updated version. An anti-SB 277 lawsuit, Tamara Buck v State of California (hereinafter known as “Buck”) was filed by Attorney T. Matthew Phillips in the Los Angeles County Superior Court. To remind everyone, SB277 is the California law that removed the personal belief exemption to school immunization requirements.